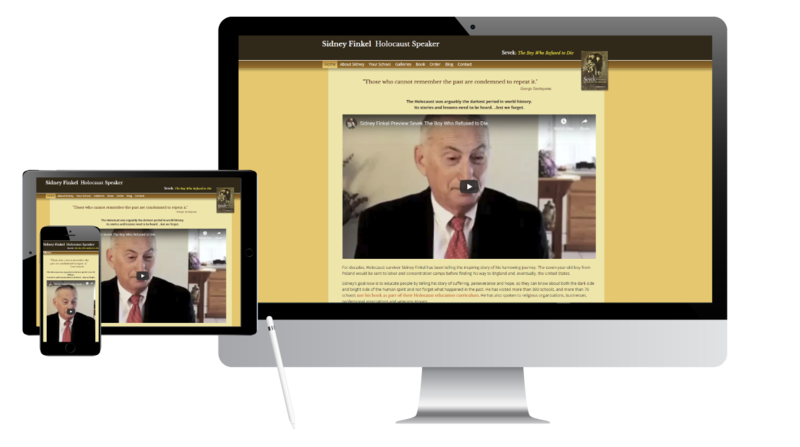 The Holocaust Speaker - What A Great Website! Originally designed by Iris b., Sidney Finkel just wanted a few updates for his website, primarily links to purchase his book and updated keyword-rich content. We did SEO (our SEO Lite package was sufficient since there is not a lot of competition for what Sidney offers) to help Google find the site. We also incorporated testimonials into the body of the site where we felt they would have the most impact. His story is remarkable. Worth your time to explore the site.